Mother Daughter Book Reviews is pleased to be coordinating this Book Blast on behalf of author Jourden Cleghorn who writes under the pen name of Teddy O'Malley. Jourden was recently involved in a serious automobile accident resulting in severe injuries just days after her new book, Destiny and Faith Go To Twincentric Academy, was published in May 2014. The indie author community has come together to support this young author/illustrator during this challenging time. Please read below to see what you can do to help in a small way. Title: Destiny and Faith Go To Twincentric Academy | Author: Teddy O'Malley | Publication Date: May 11, 2014 | Publisher: Independent | Pages: 62 | Recommended Ages: 6 to 10 Summary: Destiny and Faith are going into second grade and their mom has a great idea. She's going to send them to a school for twins! They're not sure whether to be excited or terrified. Come join them and see what happens! Jourden Cleghorn, who writes and illustrates children’s books under the pen name Teddy O' Malley, was born in in Saint Louis, Missouri. She has traveled all over the United States and enjoys learning about new things and other cultures. She dreams of visiting a foreign country. She has enjoyed studying Spanish, German, and now Italian as well. Jourden paired her language skills with pictures of puppies to write Tell Me How You Say Good Night, a bedtime story. And a childhood friendship with a biracial girl named Hope influenced Jourden to make the Destiny and Faith characters biracial in her series about twins. Many of her books include a thread about friendship and acceptance of others. Jourden previously worked part time as a nurse assistant helping the disabled and elderly. On Thursday, May 15, 2014, Jourden was the passenger in a small car when a much larger truck turned in front of them. She suffered severe injuries as a result of this accident including a cracked sternum, punctured lung, broken arm, and broken foot. Unforutnately, the nature and severity of Jourden's injuries have limited her ability to promote her books effectively. I was very moved when I was approached by a member of the Facebook group, "Fun-tastic Children’s Books " (of which Jourden is an active member) to help this young author. This wonderful group took it upon themselves to promote Jourden’s books on her behalf. They bought, reviewed, tweeted and shared her books throughout social media and are sponsoring (along with MDBR) the giveaway below. If you should choose to enter the giveaway below (open worldwide), you will see an option to earn 10 extra entries in the giveaway by purchasing a copy of Teddy O'Malley's latest book, Destiny and Faith Go To Twincentric Academy from Amazon for only 99 cents. I hope you will consider helping out the author in this small way. Of note, during her recovery, Jourden found the inspiration for another children’s book. It will be about a child recovering from a car crash and having to cope with learning to write with the opposite hand, and other hardships that must be overcome during the healing process. Jourden usually writes with her right hand, but plans to illustrate the book using her left. She wants to show that hardships can be overcome if one does not give up. Great news! Dreamscape: Saving Alex is now off in the capable hands of my betas readers. I am looking forward to hearing their critiques and finding ways to improve upon the story. This marks another step closer to bringing you this exciting, action filled fantasy adventure. Enjoy this week's snippet. I sneered at him and the others who were trying hard, but not hard enough to hide their smirks. “No, it seems like all the animals here refuse to be civilized.” I brushed off my legs, and ran ahead, finding the intersection where the game trail met the highway. “Oh we have pets alright,” a husky voice snickered behind me. I stopped. The hair on the back of my neck stood on edge as his words breathed into my back. “Let me show you,” his rough hands encircled my neck and pressed me to the ground. An involuntary gasp escaped as he choked me. I twisted around and followed the rough hands up to his crazy eyes, half hidden behind his greasy hair. My chest hammered as I saw the twinkle in his eyes, and the sides of his mouth rise. He enjoyed this. I fought against him, but my nails slid off his skin. “I take care of all my pets. Hush… just sleep.” He shook me until my breath choked out in short gasps, and my eyes closed. Blinding light flashed as he slammed my head against the ground. The ringing in my ears deafened me. Everything seemed out of focus. The ground blurred as I looked toward the rough laughter. My pulse raced, I counted five large blurs. The longer I stared the clearer it became, and for a moment, I wished for darkness. Bound in a cage, three young girls, reached toward me. Their looks of desperation tore at me. Dirt covered them, cleared only by streams of dried tears. The girl in front screamed as a rod smashed into her knuckles. Their torment amused the bandits. The largest one drug his spear along the bars, forcing their arms down. "Now, now, pretties. Make room for a new friend." Then he turned and faced me with his jagged smile. I reached across and tightened my grip on the dagger. No one deserved to be treated this way. Summary: The author of the first interactive Grand Canyon ebook for children takes her readers on an exciting journey as a lively little dog befriends a California condor and an Abert’s squirrel, and together they explore the canyon. What child wouldn’t want to go on the adventure of a lifetime with a great pup like Kristi Kay and follow her on a multimedia journey that is both fun and educational? Amazing stories told by her new friends keep you wondering what surprising new secrets they will reveal next. What happened to the people that lived in the canyon? Will the condors in the rescue program survive? This adventure story for elementary grade children offers an engaging way to experience the Grand Canyon. For those who would like to learn more about the issues touched upon in the story, additional information is provided in the Kristi Kay Talks with a Ranger section at the end of the book via interactive media, photo galleries, maps, charts, and links to external websites. This interactive ebook is especially appropriate for children 7-11 years old, and as a read aloud for younger children, and it would also be well-suited for an educational setting. Divided into 12 chapters, the book lends itself to be read in several sessions at the age appropriate pace. “Mysteries of the Grand Canyon” is the first book in the A Cairn Terrier Travels to National Parks series, a series of educational adventure stories created to inspire appreciation and stewardship of our precious parks. I have always wanted to see the Grand Canyon, and after reading this book, I am ready to book my ticket! The pictures were wonderful and really transport you there. What a great way to read this book, and interact with the characters. I have read plenty on my kindle, but not very many on my iPad. I am glad this book opened my eyes to this new technology... I think my kids are too. I am a bit more relaxed with their tech time when it combines reading and learning. They loved the adventures of the characters, and I loved how engaged they were in reading and exploring. Would you like to live each day surrounded by unsurpassed beauty and deeply connected to nature? Marie finds it hard to believe, but this is now her lifestyle and she wants to share it through her photography and stories. Marie von Minden was born and raised in Poland. She immigrated to Canada in 1982 and in 1999 she and her husband relocated to the United States. Like many Europeans, she was overwhelmed by the vastness and the beauty of North America and she developed a passion for landscape photography. They began camping in the wilderness and connecting with nature on weekends and holidays, first in a tent and later in a cap-over camper. It was during those camping trips that a dream of full-time traveling and living in an RV evolved. In 2002 that dream became reality and they have been traveling in a 34 foot Airstream trailer ever since. America’s National Parks continue to be one of their favorite places to visit. When Kristi Kay, a Cairn Terrier, joined them, the idea of a children’s book series about America’s National Parks as seen through Kristi Kay’s eyes grew as a natural extension of their lifestyle and love of nature. Through interactive adventure stories enhanced by photography selected from her vast photographic library, animation, sounds, videos, and unique graphics Marie hopes to express her gratitude for what has become her home, and to help cultivate appreciation and stewardship of these precious resources. The first of three Station Series novelettes has arrived at Amazon! Sometimes the day you die, is just the first day of your new job. Haven't read the Station Series yet? You can start today with a FREE copy of DYING to FORGET! Read more about author's work HERE. Summary: Poor Andrew is feeling very blue, all the other giraffes are very spotty but he is as white as can be. He does not have any spots, you see! He keeps seeing spots wherever he goes… One spot, two spots, three spots, Four! And many, many, many more. “Where did you get your spots?” he asks. Join Andrew as he discovers how the ladybug, the leopard and the owl came to have spots and discovers that spots often appear when you are least expecting them! This is a wonderful rhyming picture book for children of all ages. This author wowed me with her last book, Good Night, Sleep Tight, What a Wonderful Flight, that I jumped at the chance to read and review How Andres Got His Spots. Believe it or not, giraffe's are one of my favorite animals, so I was already poised to LOVE this book... and I did. This is a charming book, with a wonderful rhythm, and sweet moral. Following the Andrew's concerns about not having his spots, we learn how a set of different animals got theirs - magical fairy kisses, wind's breath, and magical rain. I was delighted to see how Andrew got his, and to read the lesson about patience, and being content with how you are. This is a sweet story that belongs in any library. Perfect for animal lovers, bedtime stories, and pre-schoolers. Everyone has their favorite movies, songs, or quotes that inspire them. Today, I want to share one of mine with you. One of my favorite movies has always been The NeverEnding Story. Maybe that's why I love writing... I believe in the power of a great book. The Childlike Empress: Atreyu, why do you look so sad? Atreyu: I have failed you, Empress. The Childlike Empress: No, you haven't. You brought him with you. The Childlike Empress: The earthling child. The one who can save us all. Atreyu: You knew about the earthling child? The Childlike Empress: Of course. I knew everything. Atreyu: My horse died! I nearly drowned, I just barely got away from the Nothing! For what?! To find out what you already knew?! The Childlike Empress: It was the only way to get in touch with an earthling. Atreyu: But I didn't get in touch with an earthling! The Childlike Empress: Yes, you did. He has suffered with you. He went through everything you went through, and now he has come here with you. He is very close, listening to every word, we say. Atreyu: Where is he? If he's so close, why doesn't he appear? The Childlike Empress: He doesn't realize he's already a part of The NeverEnding Story. Atreyu: "The NeverEnding Story"? What's that? The Childlike Empress: Just as he is sharing all your adventures, others are sharing his. They were with him when he hid from the boys in the bookstore. The Childlike Empress: They were with him when he took the book with the Auryn symbol on the cover, in which he's reading his own story, right now. The Childlike Empress: One grain of sand. That is all that remains of my once vast empire. Take a moment to reflect on this. Let your mind wander. See where this creative inspiration takes you. Every book needs an antagonist to hate... and this book has King Berkos. Every inch of her wanted to scream, fight against the abuse. Her nails peeled back as she tore into the hard cushion beside her. Drips of blood marred the otherwise pristine carriage. The pain felt good. She reveled in it, until the numbness took over. She leaned against the window, letting the world blur around her. Berkos applauded as he entered the carriage and sat across from her. “I didn’t know you could be that ruthless. Perhaps you'll make a decent queen after all.” He chuckled and leaned closer. She listened carefully for the screams, but they didn’t come. “You couldn’t have.” Her chin quivered. He leaned back against the cushions. “Again, you seem to make a habit of underestimating me. Your defiance is almost as endearing as watching your confidence break. Your precious rebellion isn’t here, they never have been." So many choices... so many consequences. Summary: Michael Davis has a special friend name Louie: which is rather odd, for Michael has never had any friends before. But when everything goes wrong in young Michael’s life- It is his rather unique friendship with Louie that gets him through the dark days. My Friend Louie is a twisted story of a Bi-Polar fifteen year old boy and his baseball bat. Caught between the pain of his parents divorce and a ruthless bully down the street, Michael feels neglected and worthless, until he meets Louie. Now Michael feels a power that gives him both confidence while also causing him concern about who he is becoming. I've been anxious to read this new release of J.J. Johnson's. When I read his first short story, Compulsion, I was impressed with the way he blended the psychological; thriller with a Christian theme. This book, My Friend Louie follows a similar theme, but directed at a younger audience. This story is a unique tale of friendship... and much more. 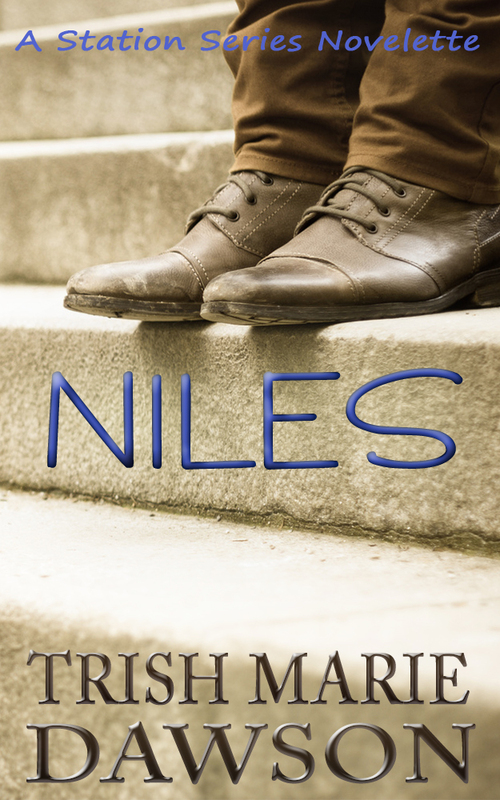 It follows Michael and delves into some of the darker aspects of his life - feelings of inadequacy, worthlessness, and unfulfilled desires of friendship. He then takes it a step farther, and tackles something we all struggle with, the dark inner voice. From the beginning I knew this book was a winner, but at about a quarter of the way through, I was speechless. This was when I had that first "aha" moment, and was reminded of the movie, Fight Club. This story eloquently shows how broken some people can be, and how sometimes our internal conflicts materialize outside in another form. I would recommend it for anyone who enjoys Christian themes, thrillers, and the younger teen set. There is a lot to enjoy and learn from this book. 5 Stars! Had her weakness led to this downfall? Her false hope shattered inside. The doors slammed shut as he led the cart of gowns inside. She pushed against the side of the cart until it crashed on its side, gowns splashed into the puddle. White brocade darkened as the muddy water stained. She picked it up quickly, responding to the softness, a reminder of her previous life. She grabbed each gown, pressing the luxury against her cheek, her arms, and legs and then doused each gown in the mud and her tears. She could not be bought.